If you are anything like me, you are probably already shopping for holiday gifts for the different members of the family, so I wanted to share a pretty neat deal coming up soon. Botley is the newest member of the Learning Resources family. Botley is here to introduce coding in an easy, friendly way and give your kids the key to the world of coding. Kids as young as five can learn to code with Botley, and as the kids grow older, they can learn more using his advanced features. This little fella will grow with your children and their curiosity. Ready to use right out of the box, he will have kids coding in minutes. The best part? Botley is completely screen free. Botley can detect objects, move around them, and follow looping commands. He can navigate obstacle courses and follow black lines. Botley also has other hidden features to unlock! For all of those early holiday shoppers out there- here’s a fantastic deal on this year’s reigning STEM education toy for kids. Beginning Sunday, 9/23 through the following Saturday (9/29) parents and educators can take advantage of a deep discount on this year’s hottest education toy, Botley the Coding Robot. Voted “Best of CES” and “Best of Toy Fair” this year, shoppers can save $10 by purchasing Botley online and in-store at Best Buy. 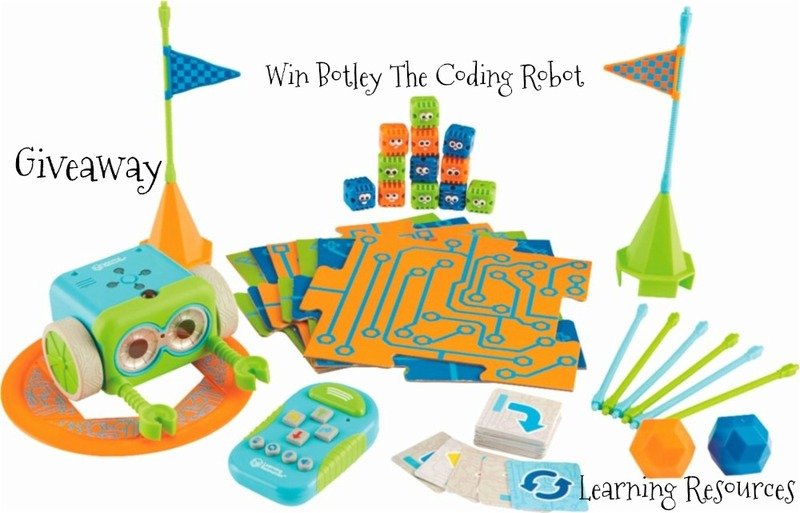 Product Description: Botley is here to introduce coding in a fun, friendly way and was named “Best of CES” by Reuters and “Best of Toy Fair” by Parents Magazine. Botley is ready to use right out of the box, and it is the only robot that includes a 77-piece activity set! For even more fun, explore coding with Botley’s advanced features. Botley can detect objects, be programmed for if/then logic, follow looping commands and take on obstacle courses. Botley has nearly 150 five-star reviews on Amazon! 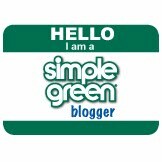 Visit learningresources.com/botley to see him in action and click here to see a roundup of recent press and accolades. Learning Resources has kindly offered one lucky Born 2 Impress reader, the chance to win a free Botly the coding robot to start off with your holiday’s list! Botley the Coding Robot includes a remote programmer for screen free use and has seventy-seven pieces to this set. And Botley comes in three different colors. I learned that it uses a remote programmer for screen free use. I also learned that it’s designed for children 5-years and older. I learned that Botley has 77 pieces. The tiles are double-sided and kids can learn the basics of programming through Botley. I love that it’s ready to play right out of the box. I also like that it uses technology that can be screen-free too. I like that you can program or that he can follow a black line on a card. I also like thst he comes with a remote and onstacke course. I learnt that it has 77 pieces and especially designed for kids!!! My daughters would love this. i love how it teaches the basics to code! I learned that there are 77 pieces and teaches basic coding. I learned it teaches coding basics. Its pretty cute too. I learned that it has 77 pieces and can be used by kids ages 5 and up. Botley also does not require a tablet, so it’s screen free which I LOVE! It has double sided tiles so there are many ways to play which is really important so kids don’t get bored after only a few minutes. My boys would LOVE this! I learned that your child can learn and grow with it. I would love this for my niece! I learned that it could teach my daughter to code. It also has 77 pieces. Thank you! I learned that the product is 3.2 pounds. I learned that it contains choking hazards. I learned that the recommended minimum age is 5 years old. Thanks for the giveaway! i learned he has 77 pieces and he teaches young kids that are in kindergarten (which is my kids age) so I know we would love this ! :) love the bright c olors too! No phone or tablet required. It’s said to encourage independent learning and problem-solving. It’s wonderful to have fun while learning. I learned that Botley is a STEM toy, and that it will also grow along with the child as the easier coding commands are mastered there are harder ones that can be done. It comes with a 77 piece activity set, is screenless and ready to go right out of the box! My grandsons would enjoy playing with Botley for sure! I learned that Botley is designed for children 5+, and also includes some choking hazards. I also learned that Botley is included in a 77 piece set! What a value! I love the look of this love that is is ready to go out of the box my little niece and nephew would love this 77 piece set love the value and look of this love there are non choking protection also. I learned that Help your child learn basic programming with this Learning Resources Botley the Coding Robot activity set. The double-sided tiles and obstacle pieces give kids plenty of ways to play, while the coding cards encourage independent learning and problem-solving. This 77-piece Learning Resources Botley the Coding Robot activity set includes a remote programmer for screen-free use. I like that no tablet or phone is required but the child still learns about programming. It really does look like a fun way to learn. I learned that it way so cool. The kit inclueds 77 pieces too. Also the coding cards encourage independent learning and problem-solving. I learned that it is screen free with a remote programmer. I also learned that it’s 5-year olds and older. I think it will keep the kids interested with all the movement. Its a top rated toy. I like they can learn programming. I learned that you do not need a tablet or phone to operate Botley. This is for ages 5 and up. It teaches your child about programming. I learned that it is a top rated toy and it is 77 pieces with no assembly! looks like a great learning toy! I love that this is built completely and programmed and even has a remote! It caters to a wider age range than most toys and it keeps kids busy without a screen! I learned it is77 pieces of fun including a remote programmer. It is a STEM learning product that does not need a phone or tablet. AND it is ready to go right out of the box. i love that you can build obstacles and paths. this is a fun and educational toy and i know my son and daughter would love it. I had never heard of Botley before this review! I REALLY love the fact that instead of through an ipad screen, you control with a remote! Anything to cut down on the kids’ screen times is great! Botley is 100% screen free & there is no phone or tablet required.